IDGTF 2019 Programme has been formally launched! 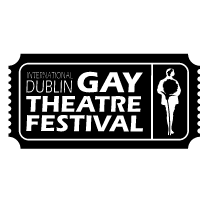 6The programme for the 16th International Dublin Gay Theatre Festival was launched today at the City Assembly Rooms, South William Street with guests of honour Minister for Culture, Heritage and the Gaeltacht Josepha Madigan TD and Festival Patron, Senator David Norris. Artistic Director & Festival Founder Brian Merriman introduced the programme with to an audience of participants, media, volunteers and invited guests.